Have you tested your home for Radon yet? Get 20% off Radon Test Kits during the month of January! Recognized as the second leading cause of Lung Cancer in the United States, it is odorless, colorless, and tasteless. Entering through the foundation from the rock and soil below, Radon issues can occur in any home regardless of age and is particularly prevalent in Northeastern PA. In fact, it could be in your home right now and you wouldn't even know it. This is why the Federal EPA is taking Radon so seriously. 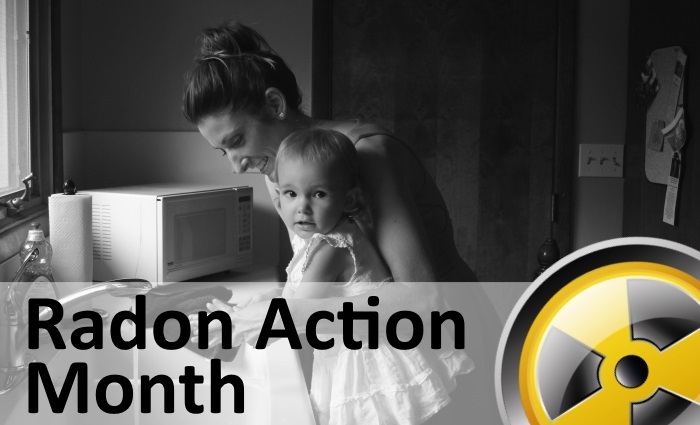 In an effort to increase awareness of this invisible hazard, they have launched adertising campaigns and even designated January National Radon Action Month! Should you find that you have a Radon issue in your home, please Contact our Offices! We're happy to help!